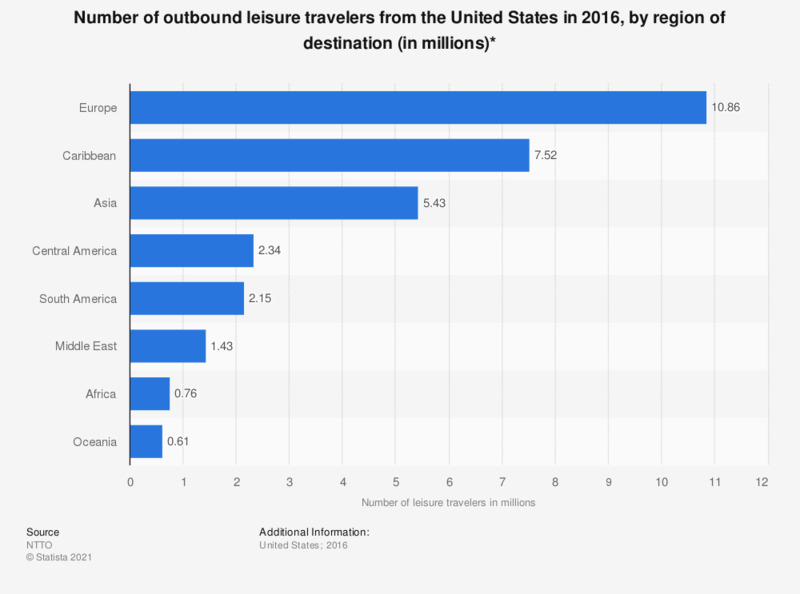 This statistic shows the number of outbound leisure travelers from the United States in 2016, by region of destination. The number of outbound leisure travelers from the U.S. to Asia was 5.43 million. * Outbound leisure and/or visiting family and relatives travel to destinations abroad.